Around National Careers Week (NCW - 5th to 10th March), Jon Gregory is running these free 15 minute consultation sessions for parents concerned about how best to help their teenager into the world of work or further training. Jon is: an NCW Ambassador; a Careers Expert Panel Member for The Guardian; the Editor of Win-That-Job.com and writes careers advice for several leading websites, so is well placed to provide up to date guidance. 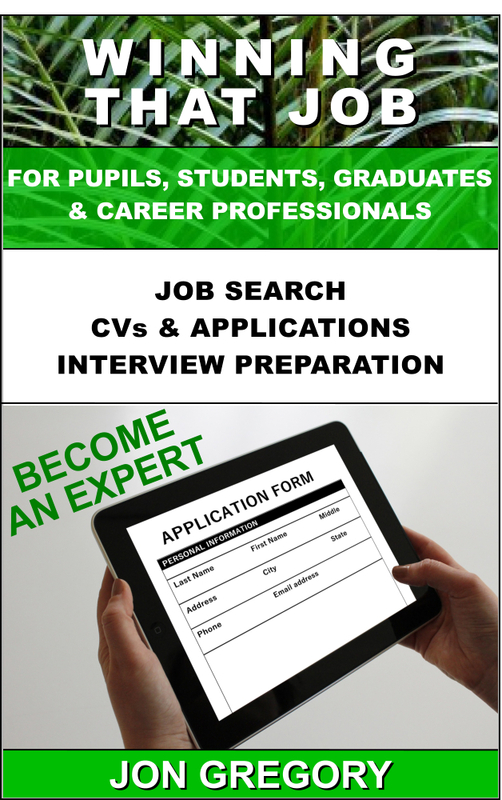 Employability - Everyone's situation is different, so this is your opportunity to consult an independent expert on what might best help your teenager become more employable and actually win that job or training place they really want, rather than risk them missing out. Direction - Alternatively, if your teenager is struggling to find job or career direction, this is a great opportunity to get some suggestions which might help. An additional aim is to help you help your teenager engage more positively and successfully with the careers services available to them at school or college. Simply drop an email to advice@win-that-job.com with 'Request to book a free employability advice session' in the subject line. You'll receive instructions and information on time-slots available by return. A maximum of 100 individual sessions are available, to be booked and taken during National Careers Week, or in the month after. 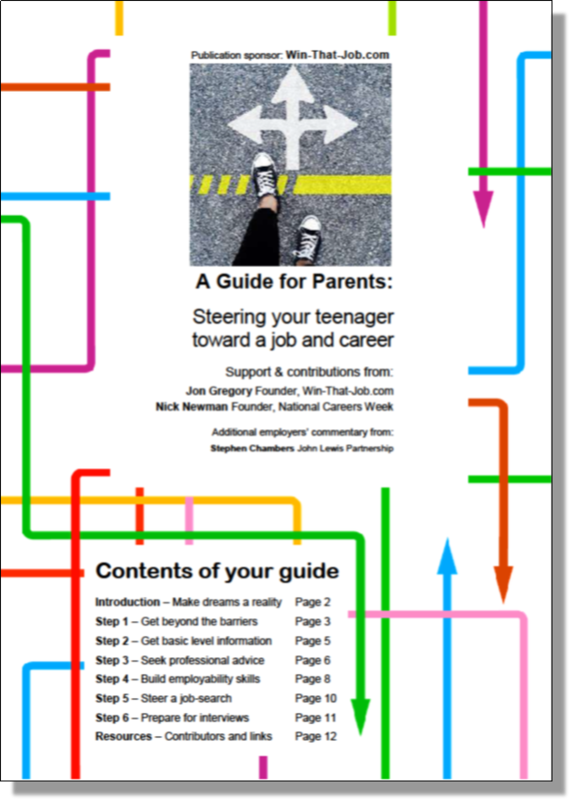 Finally, if you haven't already got your 16 page free "A Guide For Parents: Steering Your Teenager Toward A Job And Career" (pictured above) get yours now via this link - Request Your Free Parents Guide. It has employability contributions from Jon Gregory and Nick Newman (CEO of NCW) and an employer's view from the John Lewis Partnership.